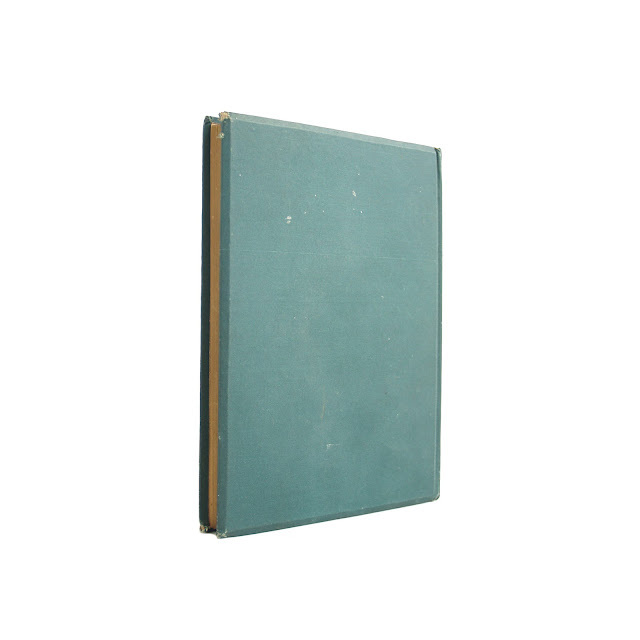 This antique hardcover book of poetry is bound in dark green cloth boards with beveled edges. 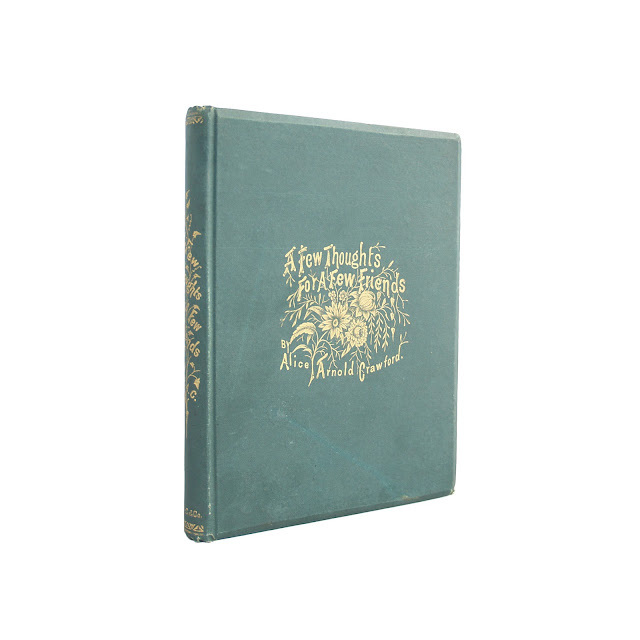 Cover and spine have decorative gilt lettering among a pattern of wildflowers. 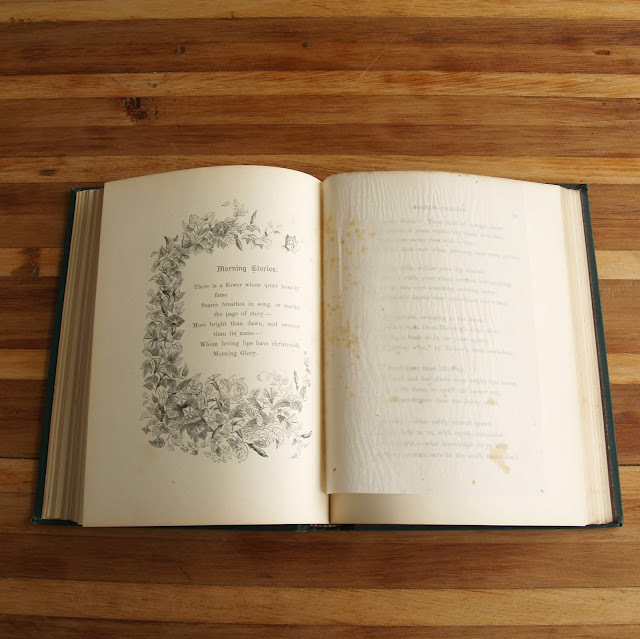 Cover has soil, wear; foxing to the endpapers and illustrations with tissue, wear and soil. Front endpaper a bit wrinkled. All page edges gilt. 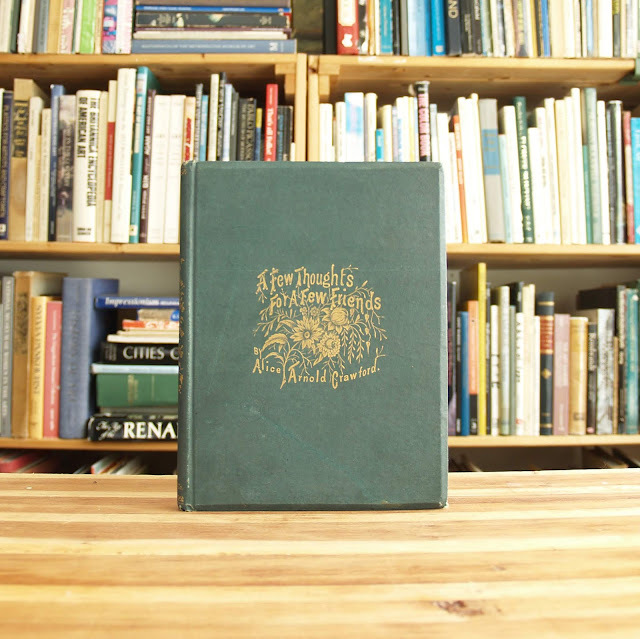 Frontispiece is an engraving of the author, with a tissue-paper page facing. 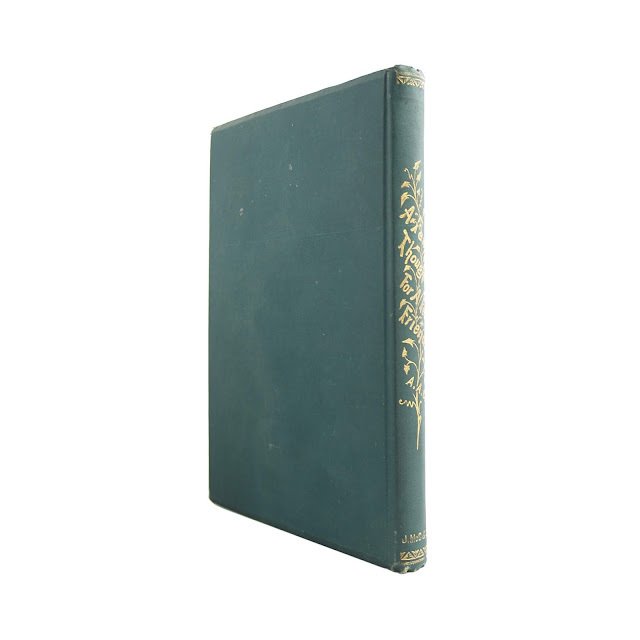 Contains verses by the author. 162 pages; approx. 6"x8".